Two thousand years ago the Roman architect Marcus Vitruvius Pollio wrote the ten books on architecture establishing the concept of the pattern book offering design principles and solutions that is still referred to in every architect’s education. 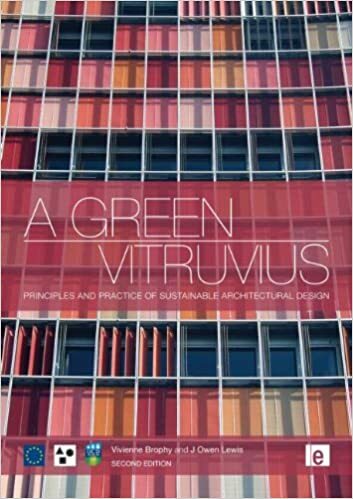 A Green Vitruvius is intended as a green pattern book for today. Now fully updated, this well established textbook provides advice suitable for undergraduate and post graduate students on the integration of sustainable practice into the design and construction process, the issues to be considered, the strategies to be adopted, the elements of green design and design evaluation within the process. Classic design elegance is found in the holistic clear solution.